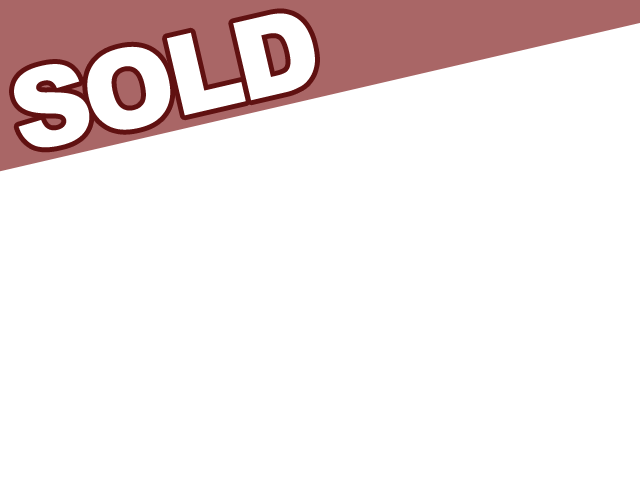 Searching for small campers for sale near you in Wisconsin but are not sure where to start? Have you been on the hunt for a travel trailer for sale that can be easily pulled by a small truck or SUV? If so then you need to come to your local Airstream dealer in Franklin, WI and see one of the many new and used Airstream for sale. Here at Ewald’s Airstream of Wisconsin, we have everything from Airstream Bambi trailers such as the Airstream Sport to Airstream motorhomes like the Airstream Interstate for sale and everything in between. Here at Ewald’s Airstream of Wisconsin, we understand that when it comes to finding Airstream trailers for sale, the process can seem never-ending. Which is why we have a team of people who are happy to answer any and all questions you may have about one of the many new and used Airstream for sale. That includes questions about the all-new Airstream Sport for sale here in Franklin, WI. Do not let the size of this Airstream camper fool you with storage space in every inch of this small camper you will be able to bring all of the comforts of home with you. Panoramic windows make your Airstream trailer feel light and bright wherever you go, and blackout curtains give you plenty of privacy when you need it. 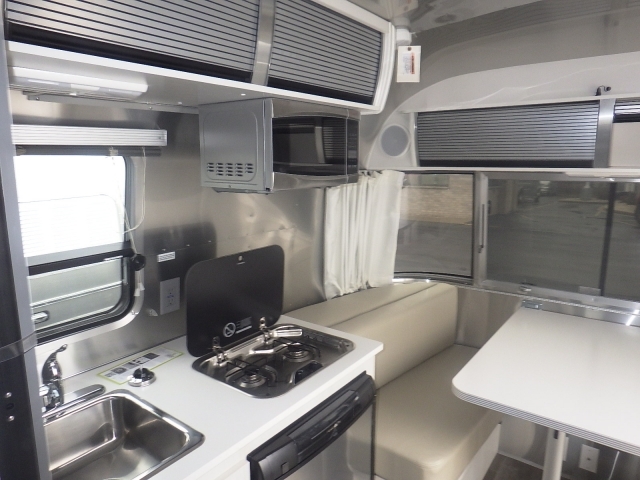 This Airstream Sport for sale also comes with handcrafted Italian laminated cabinetry as well as a two-burner cooktop, a refrigerator, and a microwave or convection microwave oven. Space savers such as a cutting board sink cover and folding side table give you plenty of space to prepare and serve all of your favorite meals. Worried you are not going to have enough space for an overnight guest? Never worry again because in this Airstream travel trailer the dinette quickly converts into a comfortable bed that sleeps two and with a few easy steps it will transform back into eating and seating area. Never worry about being bored on rainy days ever again with tech features including a JVC stereo with AM/FM/CD/DVD with Bluetooth and an LG LED HD TV with an antenna. Never worry about feeling cramped and overflowing with clutter in this Airstream Sport for sale. Overhead roof lockers let you keep your stuff up and out of the way, the dinette benches serve as storage as well and with ample cabinet space, there is a place for everything and everything has a place here in this Airstream for sale. The Airstream Sport was created with the everyday man in mind; you will not need a huge diesel truck to tow this Airstream trailer around, combining the single-axle efficiency of a lightweight Bambi trailer with more creature comforts than some trailers twice its size, the Sport maximizes space and minimizes waste. 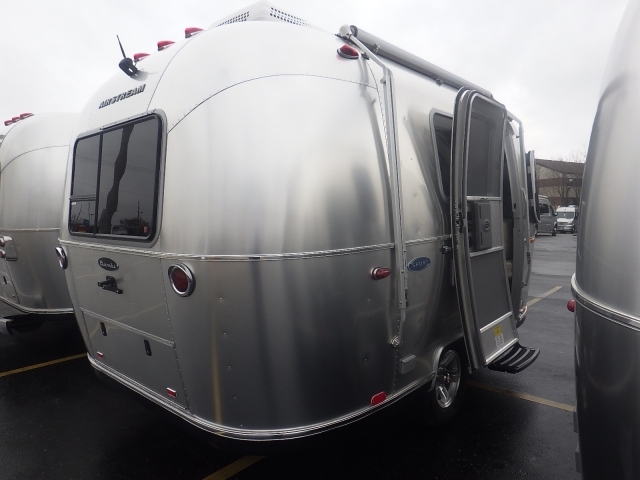 When you are ready to take your life on the road, do it in style with one of the many Airstream trailers for sale at your local Airstream dealer in Franklin, WI. Whether you are looking for small campers such as the Airstream sport or family-friendly campers like the Airstream Flying Cloud you can find it here at Ewald’s Airstream of Wisconsin in Franklin, WI. When you are looking for an Airstream dealer near you, come to Ewald’s Airstream of Wisconsin at 6319 S 108th ST in Franklin, WI 53132.